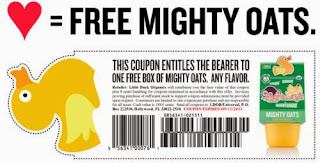 Get a free box of Little Duck Organics Mighty Oats. 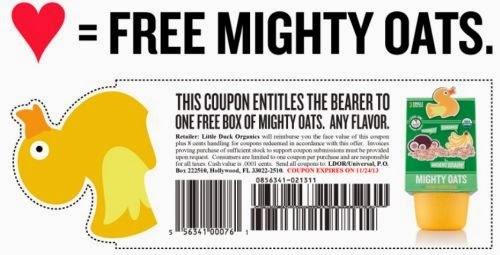 Click on the link below to go to the website to Print out the coupon then redeem it in store for a Box of Little Duck Organics Mighty Oats at any Whole Foods Market store nationwide. This coupon expires on 11/24/13.